"Scared of the plug": How do you help a child who is frightened of the bath? “Scared of the plug”: How do you help a child who is frightened of the bath? When the mum of a toddler called the Kinderling Helpline with a curly bath time question, mothercraft nurse Chris Minogue had answers. Megan says her two-and-a-half year old daughter has suddenly become afraid of some very common objects and situations and she’s not sure how to support her through it. She’s tried lots of strategies to coax her child into the tub, but nothing seems to be working. Megan’s at her wit’s end trying to work out what’s brought this on – and how to get her little girl back into the tub. 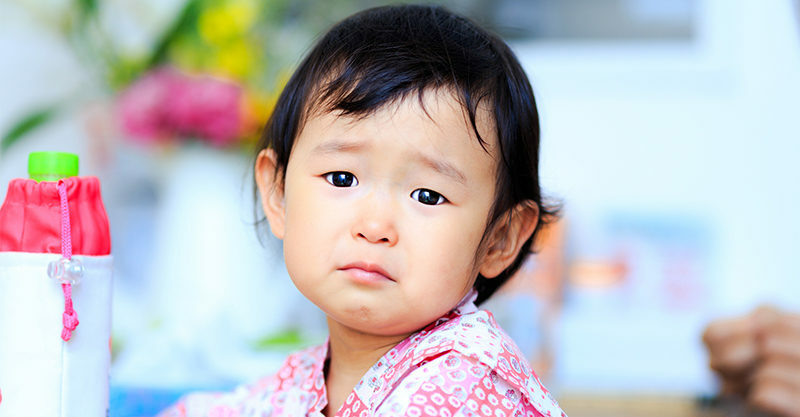 Chris says these kind of preschool worries are really normal – and very common. Chris says small children see things very differently and things that seem benign to adults are terrifying in the hands of preschool imaginations. “They think they’re going down the plug hole, so it’s pretty scary,” Chris explained. So how can parents turn this fear around and turn little frowns upside down? It’s a good idea to take baby steps, Chris says, and tackle one worry at a time. “The bath is a good one to pick, to help fix the others,” she suggested to Megan, explaining that it’s also really important to let your child know you’re taking their fears seriously. She suggested a clever strategy that re-familiarises kids with water, boosts bonding opportunities and builds their confidence. When she is ready for the big bath again, reassure her that you’re not going to take the plug out otherwise you’ll end up back at square one.